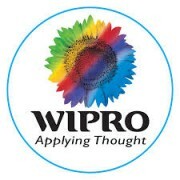 Wipro has unveiled its Open Banking API Platform as its “expects a large number of banks and financial institutions to adopt open banking initiatives to conform with evolving banking regulations, meet customers’ digital expectations, and stay ahead in an increasingly competitive fintech industry”. The vendor says its “single unified platform” will “accelerate banks’ journey” towards an API-enabled ecosystem as well as simplify the onboarding and integration of new fintech services. The platform leverages IBM API Connect, which offers capabilities to create, run, manage and secure APIs and micro services. The deployment can be done onsite as well as in the cloud. Open APIs offer the promise of a better, more efficient and more inclusive financial services world. But delegates at the Swift Business Forum in London voiced frustration about the speed and direction of progress being made during a session on the topic. Indian firm reveals record ten-year deal with Illinois-based Alight Solutions. Digital banking technology company Q2 Holdings Inc. took the Finovate stage to demo its CardSwap technology. Wipro is acquiring a $9.9 million minority stake in omnichannel marketing services firm Harte Hanks.